This week we have some great interface improvements for the Position Tracking tool. Adding and managing keywords and keyword tags has become so easy, it’s actually enjoyable! Let’s start with keywords. For your convenience, we’ve reworked the older version of the keyword adder, to make the process more intuitive. Now you can add new keywords simply by clicking on the ‘Add Keywords’ button located at the top of the keyword list. This will open a compact lightbox, where you can add new keywords to your list – please note that you should enter each keyword on a new line. Hover over any desired keyword and you’ll see a “+ Add Tag” button appear. Click on it, type the name of your new tag and hit Return – and it’s done. The new tag will immediately appear next to the specified keyword. To add new tags to a whole group of keywords, use the checkboxes to the left of the list to tick some keywords and then click on the ‘-‘ button. Then click on the ‘Add Tag’ line in the menu and proceed with entering the desired tags(in this case, however, each tag should be separated by a comma). Finally, click on the ‘Add’ button. Please note that adding new tags to multiple keywords might take a few seconds. You can also use this menu to completely remove selected keywords from your list or remove specific tags from them. 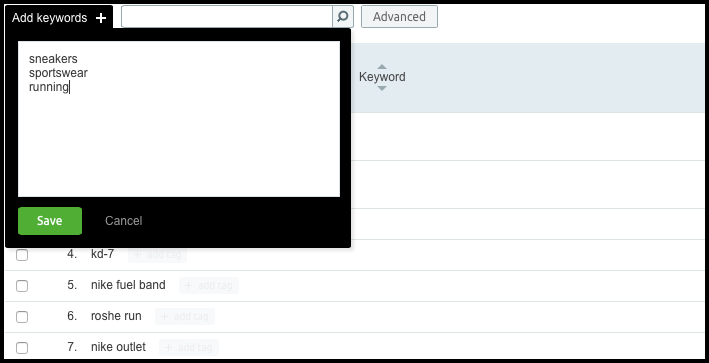 Filtering keywords by tags is also much easier now. Just click on the tag you’d like your report filtered by – and you’re all set. If you want to reset the filters, click on the ‘Reset tags & Сlose’ button in the top section of the interface. And that’s it! We’d really love to know how you like this update, so if you have any comments or suggestions, please drop us a line at [email protected]. 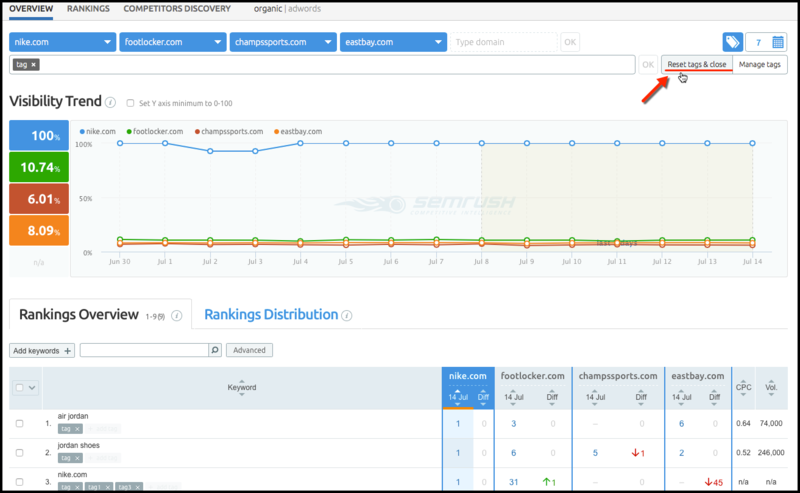 Thank you for helping us make SEMrush better. Meet the New Social Media Tool!